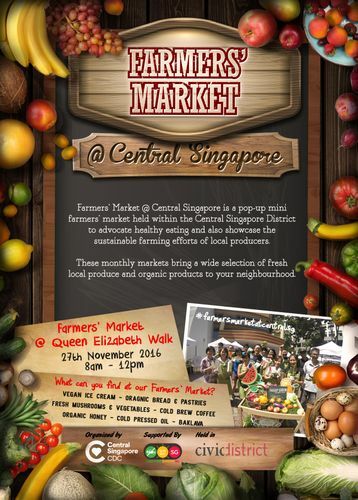 Central Singapore's Farmers' Market is proudly brought to you by Central Singapore Community Development Council. We hope to share more about healthy eating and healthy living with all of you. Here are our Farmers' Market, you can find a good selection of local produce, organic products, and artisan food. In this run of Farmers' Market, we are partnering with Urban Redevelopment Authority for Car-Free Sunday SG, so come join us!